AccuFlow with Safe-Squeeze trigger for safe and controlled pouring. long metal hose spout helps control the pour into small openings. 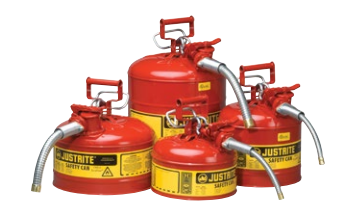 Made from high-grade coated steel, each can is pressure tested to ensure quality. 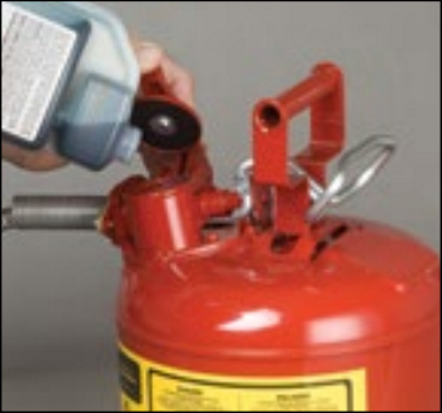 adding two-cycle engine oil or other additives.